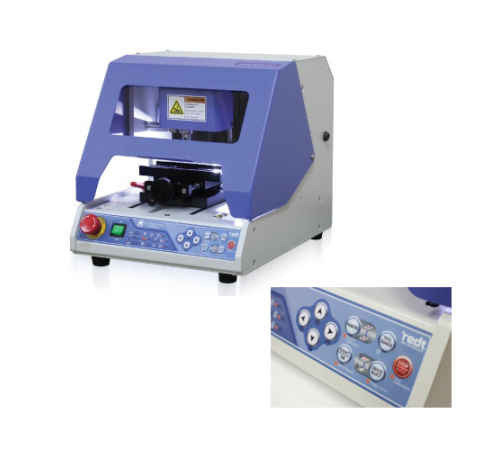 Magic-20 Engraving Machine Magic-20 is a metal engraving machine which engraves indelible letters or patterns in jewelry & metals such as gold, silver, copper and stainless steel with a diamond tool. Its noiseless, compact-size and neat design enables anyone to use it anywhere and its simple instructions allow anyone to engrave things beautifully in a quick and easy way. 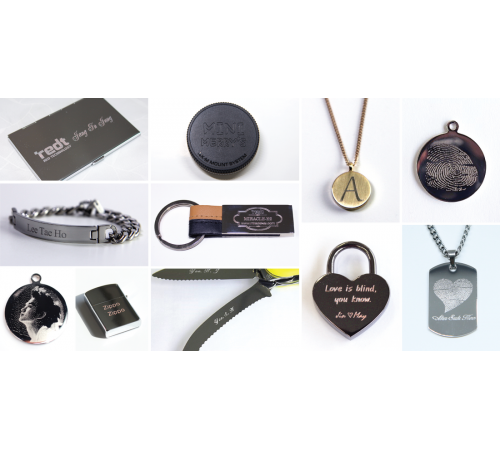 USE Engraving on jewelry products, medal, pendants, identification tag (pet tag), bracelet, necklace, nameplate, key chain, padlock, zippo lighter, knife, flat or slightly curved gift items and various metals or plastic materials. CHARACTERISTICS It’s used for engraving in every type of metal, such as gold, silver, copper, stainless steel, etc. Engraving with a diamond tool leaves the engraved surface smooth. It fastens most material without changing the clamp. The depth of engraving is deep enough to be indelible. It engraves on curved surfaces. It’s very quiet engraving machine that can be used anywhere. Its laser pointer points to the area of engraving for easy and errorless positioning. It needs replacement much less frequently than other machines. The clamp structure is easily capable of handling optional clamps as necessary. External touch screen controller is supported. (Optional) SPECIFICATION Size 288mm(W) x 303mm(H) x 355mm(D) Resolution (XY) 0.005mm / (Z) 0.00125mm Tool Diameter 4mm Max. engraving area 130mm (X) x 116mm (Y) x 30mm (Z) Weight 24.6kg Tool type Diamond Power Consumption 12W Power Supply AC 100-240V 50/60HZ ..
Magic-20 is a metal engraving machine which engraves indelible letters or patterns in jewelry & metals such as gold, silver, copper and stainless steel with a diamond tool. Its noiseless, compact-size and neat design enables anyone to use it anywhere and its simple instructions allow anyone to engrave things beautifully in a quick and easy way. Engraving on jewelry products, medal, pendants, identification tag (pet tag), bracelet, necklace, nameplate, key chain, padlock, zippo lighter, knife, flat or slightly curved gift items and various metals or plastic materials. It’s used for engraving in every type of metal, such as gold, silver, copper, stainless steel, etc. Its laser pointer points to the area of engraving for easy and errorless positioning. It needs replacement much less frequently than other machines. The clamp structure is easily capable of handling optional clamps as necessary.